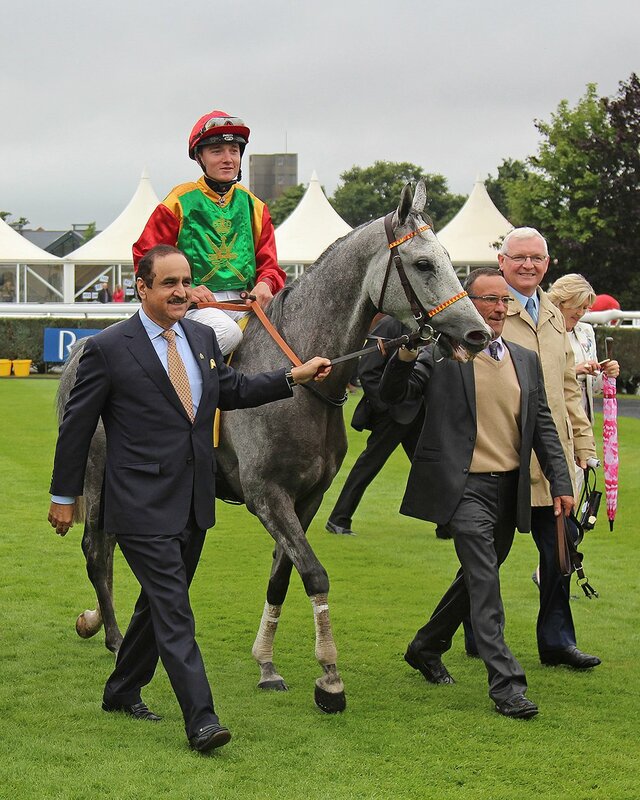 17 May 2016, UK, The Arabian Racing Organization (ARO) is honored with the Royal Cavalry of Oman’s decision to add to their sponsorship of Purebred Arabian racing in the UK for the 2016 season. The 20 races under sponsorship include two full meetings at Chelmsford City Racecourse on 1 July and 25 September, whilst they also sponsor four races at the next fixture on 22 May at Taunton, which almost doubles their support of Arabian racing in the UK meets. Of the five single races on Thoroughbred cards, the most prestigious is The Royal Cavalry of Oman Clarendon Stakes (Group 2 PA) run over 5F at Newbury, won for the last five years by trainer Julian Smart who had previously been the Cavalry’s retained trainer. They also sponsor the longest race of the season, The Royal Cavalry of Oman Premier Handicap Stakes run over 2 miles at Doncaster in June. The Royal Cavalry have been involved with Arabian racing in the UK for over ten years, however this is the first time their sponsorship has been extended to include the ARO Season Finale, which is at Chelmsford City on 25 September. This will now be merged with the Royal Cavalry of Oman’s annual race day and it is sure to provide a memorable end to the UK Arabian racing season. Major General AbdulRazak Al Shahwarzi of the Royal Cavalry, was honored by Her Majesty The Queen last week when he was presented with The Insignia of an Honorary Commander of the Royal Victorian Order. The Royal Cavalry of Oman had sent over 120 horses to perform in Her Majesty The Queen’s 90th Birthday Celebrations and the Royal Windsor Horse Show, which was the largest equine contribution of any nation to perform. The male and female riders displayed incredible skill, standing on the backs of their horses at a gallop as they passed the Royal Box. The horses were accompanied by a very accomplished female mounted band as well as pipers and drummers.